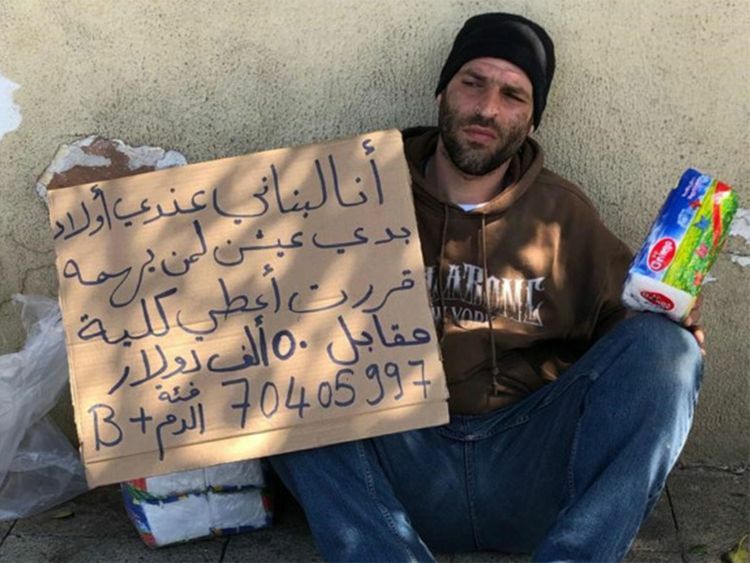 Beirut: A picture of a Lebanese father of two holding a sign saying he is willing to sell his kidney for $50,000 has gone viral on social media. Salim Al Hamwi, a construction worker, lost his job after he suffered a back injury three years ago. Since then, he has been selling napkins in the street to survive—turned down from most construction jobs due to his condition. “My family will end up in the streets if I don’t come up with the money for April’s rent,” Al Hamwi told Gulf News. Desperate for money, he learned online that he could get good money if he sold one of his kidneys. Since his photograph went viral, a group of compassionate people were able to pool enough money to pay Al Hamwi’s rent for one more month—but its not enough. He hopes that someone will offer him a job so that he would not need to sell his kidney.